Sterling silver knot pendant and teardrop earrings with real turquoise stones - pendant is marked on the clasp and earrings are marked on the back. Pendant is on a box chain and has a knot housing around the stone and its setting. Kit Heath Silver Pendant & Earrings Set. Kit Heath Silver Pendant & Earrings Set in very good condition, pendant 25mm diameter, earrings 17mm diameter, chain 18", hallmarked. OTHER GEMS cz. MAIN STONE SHAPE round CUT. RING SIZE 8. PRODUCT TYPE SET. All marked as 925 sterling silver - with 1 15" sterling silver chain. Lovely set of 2 Amber pendants & a pair of earrings (pierced ears). MAIN STONE GEMSTONE : PEARL. RING SIZE : 7.5. TOTAL WEIGHT 110.00 CT (TOTAL WEIGHT OF SILVER STONE) 22.00 gr. NICE DELICATE SILVER 925 SET DROP EARRINGS AND DROP PENDANT,FLOWER SHAPED.WITH GREEN STONES. IN GOOD WORKING ORDER. ALL IN WORKING CONDITION. BEAUTIFUL SET BY HONORA SET IN STERLING SILVER PEACH PEARLS AND RHOTONITE GARNET. Hallmarked 925 Silver Cubic zirconia trilogy set necklace With matching Cz stud earrings. this is a matching set. this item is used and has plenty of life may benefit from a clean. Black sponge/Box not included. Swarovski "adore"bracelet.and earing set.with opal. Condition is new condition unworn. Dispatched with Royal Mail 1st Class. Swarovski® crystals jewellery! Earrings and bracelet. Must have! Used. Swarovski® Sterling silver, crystals jewellery! Must have! . Condition is Used. Dispatched with Royal Mail 1st Class. Sold as a set. Items are used but in good condition. There's scratches around crystals but not noticeable. Bought in Official Swarovski store at Westfield Shopping Center. Hoping to find a new owner! White Fire Opal square Cut Stud Earrings & Pendant Necklace Sterling Silver Set. Condition is New . Dispatched with Royal Mail 1st Class. Prey white fire opal set great for wearing to that special occasion but comfy enough to wear everyday.. The sparks of colour through the Opals really set these earrings off..each pendant measures 1cm square so not too big or too small..
A lovely sterling silver Sodalite necklace and bracelet set. Stamped '925' for sterling silver to both the necklace and bracelet. In good condition. Orkney jewellery from Ola Gorie. You can see this set on the Ola Gorie site. The design is "Drift". Pendant is marked OG925 on the back. Earrings are marked OG on the back. These are not large pieces as can be seen in photos. The design on the necklace incorporates a tiny bird which may be a reference to the 'strawberry thief' pattern. The silver is set with black stones which I think are onyx. Peacock pearl necklace, bracelet and stud earrings set, the pearls measure 17'' but can go to 18'' on the little chain .The bracelet measures 7.5 inches. The fastener on the necklace is stamped 925.Boxed. Sterling Silver Earrings, Necklace, Brooch and Bracelet Bundle. Condition is Used. Dispatched with Royal Mail 2nd Class. Set Of Hallmarked 925 Sterling Silver Necklace And Earrings Citrine Stones 11g. The chain is 45 cm long and each stone size 10 mm in diameter. They’re all in good condition but need to be cleaned. Selection of hallmarked silver earrings. Some set with emeralds / diamonds. Selection of hallmarked silver earrings. One pair is by Lisa Snowden (the dangly earrings) and set with diamonds. One pair of wishbone earrings. The total weight of all pieces is 1.2 grams. In great condition but need a good cleaning. warren james swarovski crystals elements necklace and earring set in brilliant condition as necklace was worn once maybe twice at most and can’t remember ever wearing the earrings any questions please ask. NEXT NECKLACE AND EARRINGS SET. HALLMARKED FOR 925 STERLING SILVER. APPROXIMATE EARRING LENGTH 1.5". STYLISH NECKLACE SET. APPROXIMATE PENDANT LENGTH 2". HOOK STYLE EARRINGS. APPROXIMATE CHAIN LENGTH 20". Silver Scene Earrings & Bracelet Set with Turquoise Stones in Box British Made. Dispatched with Royal Mail 2nd Class. 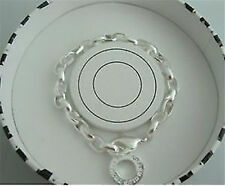 Bnwt “Honora” Fresh Water Ring Pearl Necklace & Matching Stretch Bracelet Set. Bnwt “Honora” Fresh Water Ring Pearl Necklace & Matching Stretch Bracelet Set.. Condition is New with tags. Dispatched with Royal Mail 2nd class signed for. This is a beautiful set of “Honora” fresh water ring pearls, 7 mm in size , fabulous colourway of soft greens, browns, corals and darker greens and browns too. The necklace fastens with a beautiful sterling silver lobster claw clasp and measures approx 45 Cms. It comes in a pretty silk pouch with the logo on. Any questions please message me thank you. This is a gorgeous 8 cm aquamarine and 7 - 8 cm Baroque pearl necklace set with matching sterling silver earrings. Really beautiful 18K Rolled Gold Plated Love Heart Necklace And Earrings Set Unused In box... Dispatched with Royal Mail 1st or 2nd class.. Your choice. STERLING SILVER WITH GREEN GEMSTONE IN PENDANT AND EARINGS. Both pieces are marked 925. Light marks and scuffs present in areas, would benefit from clean and polish. As the UK's number one heart charity, the cutting edge research we fund has already made a big difference to people's lives. All marked MG 925. Pendant 30mm in length. Earrings 2g in weight. Chain 16" in length. CZ 925 can be seen to the reverse of each piece (as shown in the photos). The slim elegant pendant & matching earrings are both beautifully set with a small faceted pink cubic zirconia gemstone to the bottom. This is a stunning white Akoya freshwater pearl and Alexandrite necklace set with matching earrings. No Nickel content. 925 Silver Stamped. Length of the Necklace chain is approx. The whole set includes the Necklace, pendant, one pair of Earrings and a Free Jewellery Pouch. "925 " or "SS" represents certified "Sterling Silver " and is stamped on Jewellery to demonstrate the high quality of the product. OVAL GREEN PERIDOT 3 STONE 925 SILVER & STUD EARRING SET SZ L US 6. Pretty Oval Green Peridot Three Stone Oval 925 Sterling Silver Ring and Stud Earrings Set Sz L US 6. 925 stamped - 4.7 grams. ​stone size is 7mms x 5mms. Gucci Heart Toggle Necklace & Bracelet Set Sterling Silver Hallmarked. Condition is Used. Dispatched with Royal Mail Special Delivery (TM) 1:00 pm. Gucci Toggle Heart bracelet and matching necklace. Worn casually but in very good condition with all original boxes and dust bag. I have a separate add up with them sold individually if set isn’t desired. Condition is Used. Dispatched with Royal Mail 1st Class Large Letter. Necklace Size: 2cm x 0.6cm (L xW cat pendant), 40cm 2.5cm extension chain length, 3.4g. Cat Studs Size: 11x3.5mm, 11mm pin length,1g. Includes presentation box. Marked 925. Pendant drop - 1.5cm. Chain length - 16". Light scratches are visible on outer surfaces. As the UK's number one heart charity, the cutting edge research we fund has already made a big difference to people's lives.